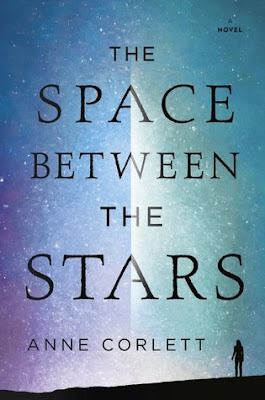 Summary: In a breathtakingly vivid and emotionally gripping debut novel, one woman must confront the emptiness in the universe—and in her own heart—when a devastating virus reduces most of humanity to dust and memories. This debut novel by Anne Corlett isn’t at all what I expected, and I ended up enjoying it even more because of what it really encompasses. When I hear “science fiction” and “apocalyptic,” my mind goes to a very distinct kind of book with a certain feel. While this book has the setting of both of those things, it is more about humanity and main character Jamie Allenby’s experiences in the aftermath of a virus that has wiped out most of the population and her determination to return to Earth. The loneliness that Jamie feels in the beginning of the book is palpable, and my mind was spinning with “what would I do in this situation?” thoughts. Fortunately, Jamie is not completely alone, but meeting other survivors is an experience all on its own. I felt for Jamie not only because of what is happening currently, but because of what Jamie has been through. She has experienced such incredible loss in her lifetime. I found it completely understandable and quite realistic that she would be cautious and a bit reserved toward her fellow survivors. I was glued to the pages, wondering what would happen next for Jamie as well as the other characters. This book is beautifully written; and though it sets a leisurely pace at times, there is a thrilling twist near the end. I was very much drawn in by the author’s writing and Jamie’s story. It’s a frightening concept that the world as you know it could change so drastically so quickly. I want fellow readers to know that this isn’t the kind of story you might envision when you hear “sci-fi” and “post-apocalyptic.” Those descriptors are the backdrop for this thought-provoking novel that feels to me more like literary fiction. This book is about self-discovery and second chances. It’s about hope and love and realizing what to hold onto and knowing when to let go. It’s about one woman courageous enough to face her fears and strong enough to overcome them. Jamie survived the end of the world, but now comes the hard part: living in it. I really do not read this genre but this one sounds like a must read for me. Thanks for sharing your great review and for putting this on my radar. Thank you, Cindy! I believe you would enjoy this book so much. It definitely felt more literary fiction than sci-fi. Very intriguing story! It is so hard to find something different when it comes to apocalypse books anymore so I'm so glad this one delivered. That cover is simply stunning and this sounds like a perfect wifey read. Great review lobster. Yeah, a certain vision comes to mind when you mention those genres. I love both, but like that this it's the typical kind. Sounds wonderful! Same here, Christy! I think if you know going in that this is a different kind of book that can't be boxed into just sci-fi or post-apocalypse, then it's one more readers will enjoy. I just started this yesterday, almost hundred pages in. The first few chapters were riveting. I am worried right now about the religious vibe, but you didn't mention it in your review, so hopefully it won't be a main theme. Oh, I love that you've been riveted! I don't think it's anything to worry about -- it's not a main theme; and even though I didn't like the portrayal because of my own personal beliefs, I understand it was necessary to flesh out certain characters. Looking forward to your thoughts! I'm curious about this one because it sounds different than a lot recent scifi, in the sense that the universe sounds pretty empty. A lot of the recent SF (space opera variety anyway) has been full of far- flung civilzations and all that, and it sounds like here we're dealing with Jamie and her adjusting to the fact that mostly everyone is gone! I think this definitely sounds worth a read- glad you enjoyed it! Thanks for the review. The twist has me curious Michele!